Home > Articles > sustainable was your last meal at a restaurant? It is estimated that Indian restaurants and hotels generated over 13 million tonnes of waste in 2011,1 a bulk of that (almost 75%) being food waste. Fast-food restaurants and cafés also generate a significant portion of disposable waste like paper cups, napkins, plastic cutlery like spoons and plates and boxes. A brief analysis indicates that at least 6000 tonnes of paper and plastic waste are generated by the fast food industry,2 almost none of which is recycled. Apart from that, restaurants are also large consumers of water and energy (both in the form of cooking gas and electricity) and generate a significant amount of waste-water with high grease and organic content. But, do Indian consumers care about how environment friendly their restaurants are? Dutta and Umashankar’s study (2008)3 regarding consumer perceptions towards environment friendly restaurants showed that while Americans were willing to pay 10% higher for ‘sustainable’ restaurants, Indian consumers were willing to pay a higher price for ‘healthy and nutritious’ food. Having said that, the study by Manaktola and Jahauri (2007)4 on consumer practices in the hospitality industry in India showed that between two organizations providing comparable services, consumers prefer the one with more environment friendly practices. 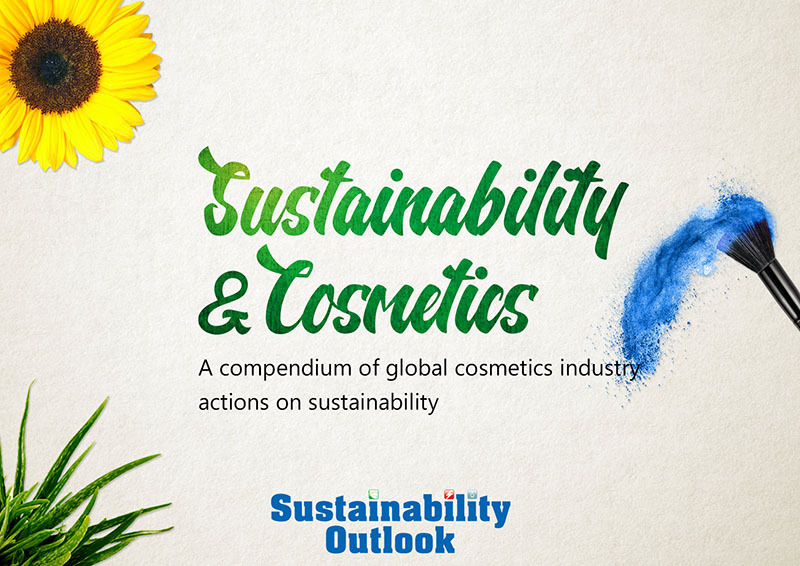 Thus, while the quality of food, health and nutrition may remain the top priority for choosing restaurants, it is very likely that sustainable practices may be the next big differentiator in the Indian restaurant industry. The consumer trend for preferring greener restaurants has already been noted in Eu rope where certain restaurant aggregator and recommendation sites like IENS (the Dutch counterpart of Zomato) are now including a ‘Sustainability Rating’ along with the standard ratings for ‘Food’, ‘Service’ and ‘Décor’ to help consumers choose restaurants. Due to the evolving consumer preference for greener restaurants, the exercise of judging restaurants on their environmental performance has been taken a step forward in the UK and America where Green Ratings have been designed specifically for restaurants. The oldest restaurant sustainability rating system - the Green Restaurant Association Rating5 (which originated in New York) - has been promoting sustainability in restaurants for more than 20 years. They judge restaurants on Water Efficiency, Waste Reduction and Recycling, Sustainable Furnishings and Building Materials, Sustainable Food, Energy, Disposables and Chemical and Pollution Reduction. The Sustainable Restaurant Organization (SRA)6 has a similar certification for Sustainable Restaurants in the UK. One of SRA’s recent thrust areas is to make cafés greener through their new cafe rating system which places special emphasis on the use of bio-degradable disposables in cafes and fast food restaurants. Predicting a trend towards greener restaurants, some restaurants in India have started adopting greener practices. In May 2014, the Chennai municipal corporation set up a biogas plant of 2 MW capacity in association with the Bhabha Atomic Research Center for more than 30 restaurants in the city. These restaurants, which included chains like Saravana Bhavan, have decided to collect all their organic waste and direct it to the biogas plant. The waste will generate cooking gas as well as electricity and manure. Similarly, some restaurants in Bangalore too have decided to set up their own biogas plants for dealing with kitchen waste. Anticipating a consumer preference for greener restaurants, international brands like Subway and McDonalds in India are leading the charge for improving sustainability in overall operations and facilities - from responsible sourcing to recycling of disposables and improving energy efficiency in stores. Compliance related to environmental sustainability has been a key driver in the Indian context to drive positive action in the restaurant industry in India. In 2010, the National Green Tribunal ruled that all eateries (which had a seating capacity of more than 36) needed to implement Effluent Treatment Plants in order to deal with the liquid waste. Post this legislation, restaurants in Delhi and other cities have been frequently shut down for non-compliance with this rule. With Indian consumers becoming more conscious, very soon restaurants, like other industries will face questions regarding their adverse environmental impact. Irrespective of the drivers, it is clear that soon restaurants too will have to make the move towards becoming more environmentally sustainable. The first movers will of course have the opportunity to use sustainability as their differentiator. What can Restaurants do to keep up with the ‘Green’ Trend? Outlined below are some of the measures a restaurant may take to reduce their environmental impact. The measures have been divided into three stages- Beginner, Improver and Achiever, charting the steps restaurants can take in the short, mid and long term to meet growing expectations from Indian consumers who will soon start to make choices based on the environmental practices of restaurants. Restaurants implementing such measures can effectively highlight and market them to create a significant differentiating factor, thus capturing that fleeting consumer loyalty that restaurants are always on the lookout for. 2. The fast food and café segment is expected to be worth Rs. 70 billion by 2020. Assuming one set of paper and plastic waste generated for every Rs. 300 spent, this indicates over 6000 tonnes of recyclable waste generation.